You’ve kitted your home out with loads of pricey top-notch smart tech – but what’s keeping a smart crook from getting in and pilfering your connected wares? 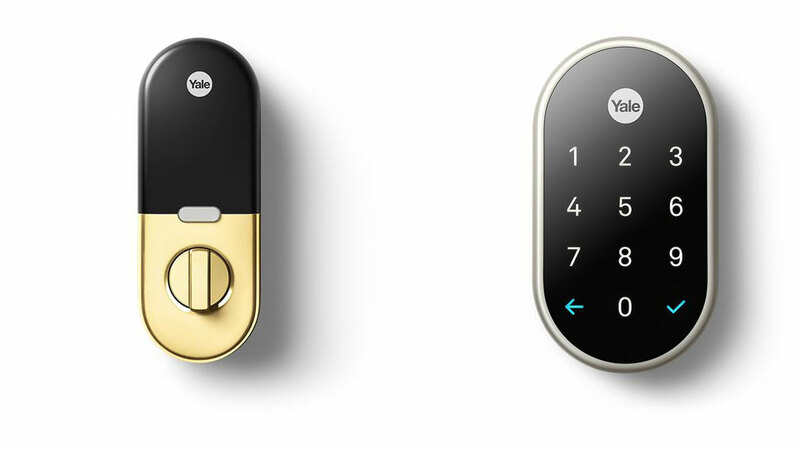 At CES 2018, traditional lock manufacturer Yale is again trying its hand at smart-focussed equipment, this time partnering with smart home veterans Nest for the Nest x Yale lock. A touchscreen deadbolt, it connects up with a whole range of Nest’s smart home ecosystem devices, giving you way more options on how to secure your home than you’d get with an old-school lock and key. For starters, the pin-code locked Nest x Yale can have as many as 250 pin-codes assigned to it, and they too can be assigned different times of the day. So, if you have kids coming home at midday, and a cleaner coming at 5pm, you could give them each individual codes that only work within certain timeframes, adding an extra layer of security to your home. The lock can also be tied to the Nest Secure alarm, deactivating its security protocols when legitimately unlocked, and the upcoming Nest Hello video doorbell, letting you unlock the door if you see a familiar face on the associated video feed. “Bank-level” encryption tech protects the lock from hack attacks, while the lock can still be opened even if its battery dies before you get a chance to key in its code – a 9 volt battery can be inserted into the bottom to jumpstart the lock if power or Wi-Fi powers down. Going up for pre-order in February, expect the Nest x Yale to start shipping in March. Pricing is yet to be announced.